Welcome back after your Christmas break. We hope you had a wonderful holiday. You might feel relieved now that the rush to get everything ready for Christmas day is over and you can reflect on the holiday events that you will remember forever. Now you have a few days before New Year’s Eve to figure out your resolutions. We’re sure that one of them is to get a head start on your taxes to avoid penalties from the IRS. We can help you get a jump on your W-2s by explaining what W-2 form information matters. First of all, it’s important to understand what Form W-2 is. It’s the payroll tax return that employers are required to annually file with the social security administration (SSA). Employers are also required to issue copies to each of their employees. It doesn’t matter how long your employee has worked for you if they are part time or full time. If you paid them more than $600 in wages then you have to file Form W-2 for them. They are extremely important because they list the income that your employees receive with social security, Medicare, and income tax withheld. Your employees also need this need this information to file their personal tax returns. 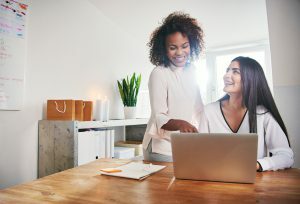 Now it can be easy to want to rush through your form to quickly get filing your taxes over with, but you need to be sure to include the important information that’s required to complete your Form W-2 online to reduce the chances of it being rejected. As an employer, you need to include your business name and Employer Identification Number (EIN). This code will help the IRS identify your company. You will also need to include your employer type and address. Once you enter this information into TaxBandits it will be saved for next time so you won’t have to waste time reentering it every time you file a tax form! For each of your employees, you will need to include their name, social security number, address, and contact information. This is extremely important to allow the IRS to identify each worker. This information will be provided on their W-2 copies to help them complete their personal returns. It might sound like entering each of your employee’s information could take hours, but that’s not the case with the TaxBandits bulk upload feature. It allows you to instantly import all of your data at once to help you save tons of time! The purpose of Form W-2 is to report the amount of income and compensations provided to each employee that had taxes withheld. This involves both federal and state income with taxes withheld. That means you will list the total amount of wages offered and the total amount of income tax, social security, and Medicare tax withheld. You will also need to report any tips and dependent care benefits.